After four years of modernisation work at the Nerpa shipyard, the Sierra-class nuclear powered submarine “Pskov” on Monday returned for mission. Early Monday morning, “Pskov” sailed from Nerpa to her home base Vidyayevo on the Kola Peninsula, some 80 kilometres east of Russia’s border to Norway. The hull of “Pskov” is one of the most expensive ever built among the world’s fleet of underwater warfare vessels. Titanuim was used by the Soviet Union enabling the submarine to dive to greater depths since the hull is stronger and lighter and therefor resists pressure better than steel. Unlike steel titanium does not corrode. Construction of “Pskov” – those days known under the name B-336 – started in 1989 and the submarine was commissioned in 1993 as the last one built in titanium. “Pskov” is also the first submarine with titanium hull to be repaired at the Nerpa yard on Russia’s Barents Sea coast. The 23 years old vessel has got new sonar and the uranium fuel elements in the reactor are replaced, Rossiskaya Gazeta reports quoting the Director of the Nerpa yard. The modernisation allows to significantly extend the operating life of the submarine and continue its further operation in the Arctic, RIA Novosti reports with reference to the press service of the Northern fleet. The Navy says it was concluded that repair of the vessel was more cost-effective than scrapping it. Two more vessel of the Sierra-class will be recommissioned in 2016 and 2017. The vessels “Kostroma” and “Karp” are both in line for upgrades at the Nerpa yard. The submarines of the class are for multipurpose use and carries cruise missiles, torpedoes and mines. 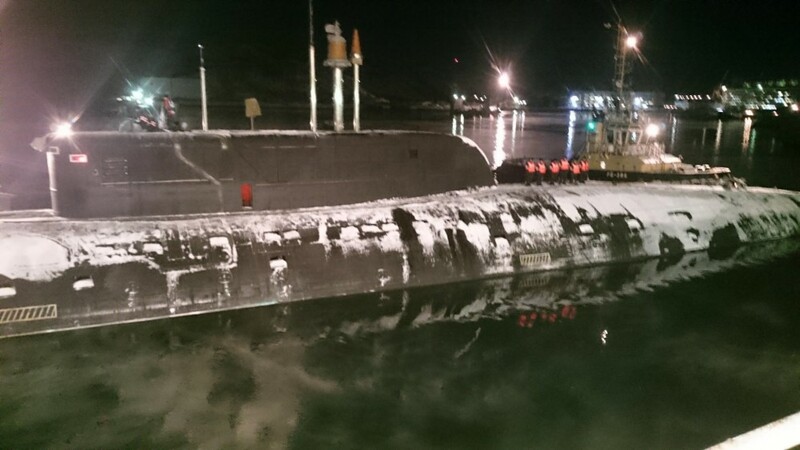 With “Pskov” in active service again, the Northern fleet now operates 25 nuclear powered submarines. Additional eight are either in for upgrades or laid-up in reserve.